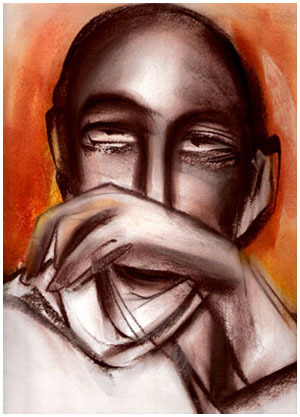 BFA, MFA (Painting) B. K. College of Art Bhubaneswar, Orissa. 1997 : 13th Annual Art Exhibition, B.K. College of Art, Bhubaneswar. 1998 : 14th Annual Art Exhibition, B.K. College of Art, Bhubaneswar. 1999 : 15th Annual Art Exhibition, B.K. College of Art, Bhubaneswar. “BARNALI-99” 5th Rural Art & Craft Exhibition. 2002 : 18th Annual Art Exhibition, B.K. College of Art, Bhubaneswar..
Trust for?AWARDS Regeneration of Environment and Economy (TREE), Bhubaneswar, sponsored by ORHDC B.K. College? World Environment Day 5th June 2001 Govt. of Orissa. ?and HUDCO of Art & B.K. College of Art?Craft award, 2001. 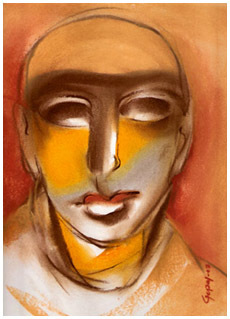 & ?Craft award, 1998 Preventive Conservation of Oil Paintings sponsored by Rashtriya Lalit Kala Kendra Orissa, 2002.COLLECTION: USA, DUBAI, ABUDHABHI, INDIA.